Gaming commission must be really busy these days. 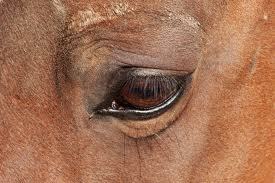 So many deaths, so few feeling guilty for the loss of these horses. These “pony” horses live a miserable existence. GO GO JO suffered an excruciatingly painful death after his years of service to the racing industry and it appears that his well-being was neglected. Just use them up after the stress of racing – make sure you get the last drop of blood out of them. TWENTY-ONE (21) years of age! Pony horses have one of the worst jobs on the track. They are in active servitude for at least 8 hours per day. Have you ever seen those overweight riders on their back? The pony horses are even exploited for money just like the racehorses. I’ve seen many examples where the industry boasts about ex-racehorses becoming a pony horse to enjoy their life. Yes, most that I’ve seen have been overweight and what really gets to me is that many don’t get off their backs often enough during the race meeting. And not being fed enough, if at all, during all those long hours, they’re trickle feeders which is essential for their health! Some of the riders are quite rough with them, hard hands, jerking them, turning around too quickly, oh it just makes me sick to the stomach. Must admit that once there was a young girl who got off her horse after a race and walked him back and I was able to congratulate her on good horsemanship but the male riders just frowned at me as though I was some sort of an idiot….. the ignorance never ceases to fail me.